Having to wear a retainer after you get your braces off can definitely be frustrating, but it is a very necessary extra step. Even after a full treatment with braces, your teeth will start to shift a little again after the braces are taken off. When you wear retainer, your teeth are held in their new positions for longer which will ultimately give you better results. Dr. Weber typically recommends “At Home Wear” with around 10-12 hours of retainer wear/day for the first 3 months after your orthodontic treatment is complete. This means wearing retainers when you are sleeping and also in the evenings after dinner so that you get a 10-12 hour range of wear. If you are not taking your retainer outside of your house the retainers tend to have a better lifespan and there is less of a chance that they will be lost or broken. After 3 months Dr. Weber typically then recommends night wear only. Keep in mind that each individual treatment plan is different. Retainers generally come in two types, removable and fixed. The removable kind are usually worn for about a year, while the fixed retainer may be worn for several years. Fixed retainers are adhered to the backs of your teeth using cement. Clear – These are made of molded clear plastic that fits over your teeth. Because these are less noticeable they are a popular choice, especially for adults. 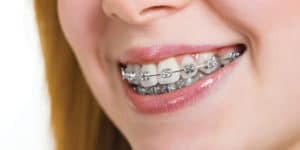 Like when you were wearing braces, with the retainers, your teeth may feel pressure and you may experience some soreness as your mouth adjusts to the retainer. If the retainer causes you pain though or cuts into your gums, then let your orthodontist know. It probably needs some readjustment. Expect your speech to be affected for the first few days. Try talking at a slower speed until you get used to the feel of the retainers in your mouth. Reading aloud for a few minutes a day can also help. The retainer may also stimulate an increased saliva production in your mouth those first few days. Don’t worry, all of this is expected. The key to great results from your time in retainers is to take care of them properly. It goes without saying that for best results you should follow all the instructions that your orthodontist gives you. Your retainers are custom made so it is important to follow all the instructions. Keep your retainer clean and fresh. Your retainer is going to end up with a lot plaque, bacteria and leftover food particles stuck on it, an expected hazard of being in your mouth, so it is important to always keep your retainer clean and fresh. When caring for your acrylic retainer, make sure to rinse it out with warm water to get rid of the bacteria build up. You can brush the plastic portion of your retainer with your toothbrush and toothpaste. Be careful not to brush the metal wires too hard so that you do not distort them. You can also purchase a denture cleaning solution that can help disinfect the retainer and give it more of a deep clean. 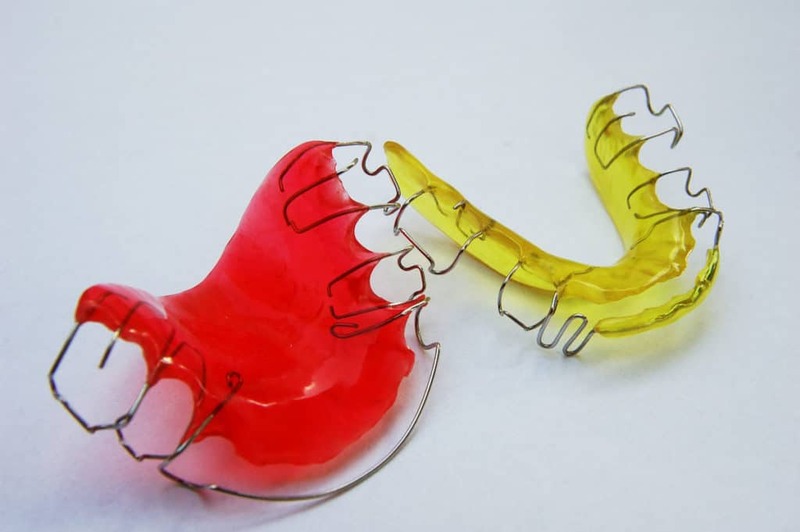 Things to avoid with this type of retainer include putting them in the dishwasher or boiling water. Care for the clear aligner/retainer is a little different. Still rinse it out with warm water every time you remove it. Clean the aligner inside and out, getting all the crevices. After you are done cleaning, rinse the aligner with warm water before putting it back into your mouth. To avoid staining, never eat with the retainers on. When your retainers are not in your mouth, keep them in a case to keep them from getting scratched up or lost. Always be mindful of where you put them when you take them out of your mouth. Keep them safely away from any family pets or small children and don’t stick the case in the pocket of your pants or jacket where it can easily fall out. Never just leave your retainer next to your plate while eating or wrap them up in a paper towel. It can too easily just be swept up with all the dirty dishes and trash. There are other uses for retainers. They are used to shift a gap between teeth or when there is just a single tooth that needs to be shifted. They are even used to treat jaw issues like temporomandibular disorder. Practicing good oral hygiene is also essential to protect your smile. Make sure you are brushing and flossing your teeth regularly and keeping your retainer clean to prevent cavities and gum disease. Make sure you also go for your regular dental cleanings as well while you are wearing the retainer. What you do today can have an impact on your long term oral health, which is also connected to your overall health. The ultimate goal is a healthier, more beautiful smile so never forget that. Be committed to keeping your teeth and retainers clean and doing everything your orthodontist instructs you to do. The hard work will pay off and you will have a healthier and happier you. Take care of your retainer and it will take care of you. For more information about retainers and how to take care of them, call Weber Orthodontics today. They will help you set up a free consultation and get you on the road to the smile you have always wanted. I lost my retainer a week ago and i couldn’t afford to get a new one. I was wondering how much it would be to get a replacement retainer.